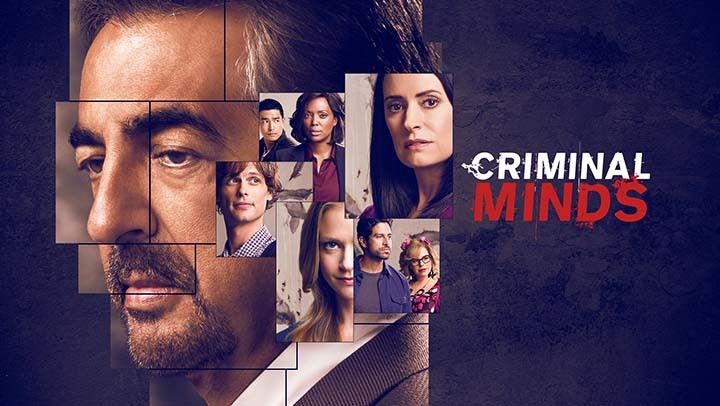 Criminal Minds - Chameleon - Review: "Hiding"
We’re now down to two episodes left this season. Hard to believe, isn’t it? Luckily, after a bit of a weak start to the final third of this season, the show’s picked up steam. “Hamelin” was a nice comeback, and that streak continues with “Chameleon”. This episode is also notable for setting up what looks to be the final big bad for the team going forward before the show wraps up for good after next season, and if this case is any indication, we’re in for one hell of a showdown. Before we get there, though, let’s discuss this episode itself, which, alongside introducing another notable unsub, also gave us a touching, emotional glimpse into both Rossi’s fears and his relationship with Krystall. The episode is done in the vein of “Sick Day” from a couple seasons back, but thankfully, it’s not a complete retread. There’s enough new and interesting things here to explore, and Rossi and Krystall’s relationship is very different from that of JJ and Will’s, and those differences are made very apparent here. With that, on to the review! We don’t begin this episode with our typical glimpse into the case of the week. Rather, we start off seeing Rossi preparing for work. He’s getting his gun, his badge, he’s putting on his watch. The usual. Upon looking at his face, however, there’s instant concern. He doesn’t look at all eager to go to work today. Instead, he looks reflective, sad, even...nervous? He even sits down on his bed for a moment, as though he needs to calm himself. When he comes downstairs, he’s jumpy and distracted. Krystall’s concerned, but Rossi assures her he’s fine and heads out. He may not be eager to go to work, but he’d rather be there than sitting around wallowing in whatever it is that’s bothering him. The “he” in question is Reid, and Rossi finds him in the conference room. Judging from his behavior, Garcia’s assumption seems pretty accurate. Reid is looking through stacks of papers, muttering something about “not seeing it”. What “it” is, we don’t know, but it looks to have something to do with a recent case the team worked. Rossi tries to reassure Reid he’s not the only one who missed this important clue, but Reid’s frustration is clear regardless. Rossi then goes into his office, only to be greeted by Emily, who’s sitting at his desk. He doesn’t need to ask her why she’s there, he knows full well the reason. Rossi goes on a little rant at this point – apparently there’s some kind of open investigation happening right now in relation to this case, but he’s not worried, claiming he doesn’t need people to protect or fuss over him. He tries to reassure Emily, and probably himself as well, that this investigation will end well. Emily sympathizes, but she reminds Rossi that he needs to talk to somebody about everything he’s been through. She then sends him back home, as Rossi realizes that if he’s going to talk to anybody right now, it’ll be Krystall. As he prepares to share his story, we see him experience a brief flashback in which he’s making his way, alone, through a field of tall grass and woods. He’s then attacked, and struggling to breathe. The mere memory is enough to greatly upset Rossi. Obviously, at this point, everyone’s wondering one thing: just what the hell happened here? Things start off pretty routine. The team’s been called in to help investigate a single murder in Nashville. The woman’s name is Monica, and her body was found in her home, which has been burned in what looks to be a suspected arson. The case gets especially creepy, however, when it’s revealed that her face has been completely removed. Eeesh. Monica was also stabbed (all the way down to the freaking skull) and strangled, and had burns on her legs and feet as well. Damn. Chances are pretty good she isn’t his first, or last, victim. Thing is, though, Monica seemed like a pretty low-risk victim. She was a single mom, hardworking, and had an adult son who was off at college. There was no forced entry into her home, which seems to hint that she knew or trusted the killer. The team learns that the stabbing happened after her death, but curiously, the cuts are very sloppy. That’s odd, since the unsub would’ve had plenty of time to be more exact, given she was already dead. The current theory is that the unsub was just so caught up in the moment that they didn’t care about being precise, which is disturbing on so many levels. An interview with Monica’s son, Carl, gives the team a suspect right off the bat. According to Carl, his mom had been recently seeing this guy named Paul (or as he calls himself, “Mac”), and he wasn’t too keen on the guy. He describes Mac as “dorky and boring”...but he felt it all seemed very calculated. Like he was trying too hard to appear non-threatening. Then, the day before Monica’s death, Carl happened to overhear Mac talking on the phone to somebody else. Mac claimed it was his mom, but the type of language he used, well, let’s just say most sons don’t talk to their mothers that way (and if they do, that’s a whole other can of worms on its own). Carl, obviously, is shocked and upset about this, and calls Mac out right in front of his mom. Problem is, Monica is so wrapped up in this guy that she tries to defend him. That’s horrifying enough, but things get even worse when Mac, in an attempt to assure Carl his love for Monica is real, proposes to her – and she accepts! Keep in mind that she and Mac have only been dating for about two months at this point. Next thing you know, Monica’s dead and Mac is nowhere to be found. Pretty unsettling story, to be sure, and as the team looks deeper into Mac’s past, it seems Carl was absolutely right to be suspicious. Mac’s address and phone number are revealed to be fake – in fact, as Garcia discovers, his whole identity is made up. What’s more, right before dating Monica, Max opened up an account which he then used to drain Monica’s money, and closed it after Monica’s death. Yep. Definitely shady. Monica likely found out about Mac’s lies, and when she called him on it, that sealed her fate. So it looks like their unsub is a con man targeting single women. He searches them out on dating sites, and crafts an identity that would most appeal to each specific woman. And as we soon see, he’s doing it again. A woman named Mary is prepping for a fancy evening, and asking her daughter’s opinion of her outfit. Her daughter doesn’t seem all that impressed, however, and once Mary’s boyfriend arrives, we understand why. It’s Mac, or as Mary knows him, Bill. At one point, he sneaks off into the bathroom to make a few alterations to his new look. We also find out what happened to Monica’s face at this point, as it happens to be sitting in a bag nearby. Ewwwwwwww. “Bill” tries to befriend the daughter, but she isn’t taking the bait. She even asks him point blank just what his plans are regarding Mary, warning him not to hurt her. He reassures her he won’t, and soon, Bill, Mary, and the daughter are all sitting down to a nice, quiet dinner. As the meal progresses, Mary decides to spring a surprise on her boyfriend. She’s planned a romantic getaway for them to Hawaii, and Bill is fully on board. Mary then reveals that the trip will make for a great honeymoon...and proceeds to propose to Bill. My stomach begins sinking at this point, because it’s clear how he’ll react to this. Mary has totally messed with his whole scheme, and he just will not have that. He sweetly tells her that he’s always wanted to go to Hawaii, sticks a rose in her hair – and then bashes her over the head with a vase of flowers, to the daughter’s horror. Back at the station, Emily realizes that the team has to change their strategy of figuring out this guy’s past. Up to now, they hadn’t had any luck finding reports of other murders involving women’s faces being removed. Emily then suggests they look into reports of prior arsons with victims similar to Monica instead, and boom, they hit the mother load. The team learns about another case involving the death of a woman in an arson five months prior. Her name was Clarissa, and she had two adult children, Claire and Damien. Like Monica, she was seeing a new man shortly before her death, and when interviewed, her children tell pretty much the same story that Carl did. They lost their dad, and soon after, a new guy known as Mike soon came into their mom’s life and swooped her off her feet. The relationship was rushed, he proposed, and then their mom died and her house burned soon after. Strangely, however, there’s no indication that “Mike” took any money from their mom. The kids got a LOT of money after her death – we’re talking over seven figures here. So why didn’t he steal from her? They also show the team a picture of Mike, and he looks dramatically different. As Mike, he’s got a beard, and looks much older. As time goes on, the team discovers more victims, all with adult children. The team learns that the unsub did have one detail that remained consistent throughout his schemes. He told every woman he met that he was from Aberdeen, Mississippi, and he too had a daughter once, a five year old girl named Grace. Tragically, she died by drowning in the bathdub, and the unsub blames his mom for not watching her carefully that day. There’s our motive, right there. Luke and Matt head to Aberdeen to try and look into this backstory, and soon find out that a) the unsub’s real name is Everett, and b) he seemed doomed to a life of crime from the get-go. Why? Well, apparently, his mom Bobbi was quite the con artist herself. She would take up with numerous men, steal their money, and move on to the next victim, involving her son in her ruses all the while. She also committed bigamy, and currently, she’s in jail for murdering one of her boyfriends. What a great role model, huh? Bobbi shows no remorse whatsoever for her actions. When interviewed by Luke and Matt, she’s snarky and flippant with them, bragging about all the sob stories she came up with involving Everett to try and lure unsuspecting men. She even tries to flirt with the guys, telling Matt in particular that he’s a “bad, bad boy”. Luke and Matt are visibly uncomfortable with her behavior, but they press on, asking her about Everett. She’s not happy about the fact that he hasn’t kept in contact with her all these years, but she reassures Luke and Matt that they, and the team, will never catch him. When they mention Grace, though, that’s when Bobbi’s demeanor instantly changes, and the interview ends shortly after. The discovery of Bobbi’s crime spree does help the team, as they realize that Everett is hitting all the cities and towns his mom traveled through. If he’s holding to the same pattern, his next stop will be in Little Rock, Arkansas. This has the BAU very excited – they’ll be able to get the drop on Everett before he can kill another unsuspecting woman! There’s just one rather significant problem, however. After her interview with Luke and Matt, Bobbi got in touch with her lawyer, asking him to tell Everett that he’s being hunted by the BAU. She also expresses anger over being blamed for what happened to Grace. By letting it slip that Everett’s being tracked, that spooks him into fleeing before the team makes it to Mary’s home. Once they get there, they find quite the horror show. Mary’s daughter is found tied to a chair and screaming for help, and in the living room, the team finds the faces of all of Everett’s victims, scattered about in a creepy, taunting fashion. And Mary? She’s nowhere to be found. Neither is Everett. Or maybe they’re not so far away after all. The daughter tells the team to look in the barn out back, suspecting Everett may be hiding her there. Thankfully, they do find her, and she’s alive. But their relief is short-lived, as they’re in for one hell of a shock. The girl? She’s not Mary’s daughter. She’s Everett’s! She’s Grace! The drowning story was a complete lie! Mary did indeed have an adult daughter, but she was away at college. It seems that just as Bobbi had trained Everett to become a con artist/murderer, Everett is now doing the same with his own daughter. As the team realizes this is the Grace, she reacts by trying to attack Luke, thus explaining the injuries on him that we saw at the start of the episode. Luke manages to stop her before she goes any further, though, and while Grace is taken into custody, Rossi hunts down Everett, bringing us back to that moment with Rossi making his way through the tall grass and woods. Everett then surprises Rossi, jumping from the shadows and tackling him to the ground. He tries his damndest to strangle Rossi to death, and we can see the fear in Rossi’s eyes as he realizes he could die out here. Rossi blacks out, but eventually comes to. Unfortunately, Everett is gone for real this time. This outcome frustrates Rossi deeply. Not just the fact that Everett slipped away, but the fact that he was bested by a guy who’s much younger and stronger than him. He despairs at the thought of never finding this creep, and wonders if this is a sign he can’t do his job anymore. Krystall reminds Rossi that he’s smarter than the unsub, and assures him they will catch him eventually. Rossi appreciates her attempt to comfort him, and resolves to do whatever he can to try and find the guy. He then goes to visit Grace, now in prison. “Let’s talk about your father,” he says. Another very strong episode! Yay! Such a good twist regarding Grace – not only did it add a new and intriguing wrinkle to the case, but it was also a good opportunity to play with the idea that Everett was retaliating because of a personal loss. That’s a motive that’s been used so often on this show, to where it can sometimes be kind of a thin, flimsy excuse. Having him follow in his mom’s footsteps and bring his daughter into his criminal world makes for a much more interesting angle to play with. I also like the subtle way in which they hinted at that twist when Bobbi began talking about using Everett in her schemes. You could either see that as a tip off, or you could take it at face value and just see Everett’s crime spree as him retaliating against his mom. Either outcome would’ve been believable. I also loved that we got to see some of the effects this case had on the team. The entire opening sequence with Rossi looking all haunted, Luke bandaged, and Reid stressed out was a very effective way to draw us in, and the best part is that this story clearly isn’t over, so this won’t be the last we’ll see of this case’s impact on these people. The opening scene with Rossi preparing for work reminded me some of his preparation for his team lecture in “Profiling 101”, which is appropriate, given this case had kind of a Tommy Yates style feel to it, with an unsub who thinks he’s gotten one up on the team. Seeing Rossi so affected in general was especially powerful. It’s not often he lets himself be that vulnerable, and it’s also a rare moment in which we saw him in immediate and serious danger. Normally he’s the one who manages to escape completely unscathed whenever the team confronts an unsub. So I liked that the show had Rossi reflect on the threat to his life, and I like that he didn’t hide his fear so easily this time. It was also interesting to see him address the possibility that he might not be able to do this job much longer. We’ve seen the team wrestle with that issue before, of course, but Rossi’s always been the stubborn one who seemed willing to stick it out for the long haul. Hearing him finally address the fact that he may eventually have to move on was startling, but very realistic. Even if he does step away from field work, though, I can see him still finding other stuff to do. I don’t see him ever fully retiring. Given next season is the show’s last, I’ll be curious to see how they address that issue going forward. I also have to give a shout out to AJ Cook, who made her directing debut with this episode. She’s the latest in a long line of cast members who’ve directed episodes of this show, and she held her own quite nicely here. I especially liked the way she put us right in the midst of the action. You felt like you were walking through that tall grass with Rossi, or were right in Rossi’s room with him, feeling that tension alongside him, as he was preparing for work. The same could even be said of the victims as well. It was like I was sitting at the table with Mary, Everett, and Grace during that ill-fated dinner, to the point where I felt an urge to want to tell Mary to stop her planned proposal. I’m glad Cook got an opportunity to step behind the camera before the show wraps up for good, and that it was for such a good storyline to boot. The only thing I’d critique about this episode, really, were the faces. They weren’t even remotely realistic-looking, which took away a little bit from the horror of Rossi and the team discovering the faces scattered around the house. But all in all, this was another very strong episode from this season, and I’m both very nervous about and looking forward to seeing how the aftermath of this case plays out going forward. Not only did we have a good case this episode, but the personal side of things was equally well done. Let’s see how Rossi’s talk with Krystall played out. Krystall proves to be a very welcome audience for Rossi throughout the episode, listening to and asking about every last detail of the case, no matter how grotesque. Whe does suggest a safe word at one point when Rossi starts talking about body parts being treated as trophies, though, which isn’t a bad idea. She also tries to find her own way to relate to and understand the case, using her experience as a blackjack dealer working with bluffers and con guys to try and figure out Everett’s motives and methods. And she provides a much needed source of TLC as well, taking the time to tend to Rossi’s wounds, physically, mentally, and emotionally. She even offers to go with Rossi to visit Grace in prison. Now that’s love. I really enjoyed all the scenes between Rossi and Krystall this episode. It’s funny how a couple who had a very brief marriage back in the day has since managed to forge a much more mature, thoughtful relationship since then, but I think the show’s done a very nice job of highlighting that change. Time has clearly been quite kind to these two, and it’s been sweet to see them getting another chance. And I like Krystall herself as well. She’s a good balance to Rossi – where he can sometimes get intensely focused and stuck in his own head, she’s the calm counterpoint. He can be a bit of a perfectionist (remember how he’d tried to plan out the perfect proposal for Krystall? ), and she seems a little more laid back and willing to just go with the flow. It was good to see him feeling comfortable enough to open up and allow himself to be vulnerable around her, and seeing her know just the right things to say and do. It’s important for these people to have somebody outside of the team to turn to, and I like that Rossi’s got that here. Their similarities were also highlighted well here. I really loved Krystall using her experience dealing with bluffers and con men in her casino work as a way to better try and understand both the unsub and the team’s analysis of him. I thought that was a very clever little touch, a sign of her being his intellectual match, and it was also a nice, subtle way to show her willingness to accept and understand Rossi’s job in general. And yet, I also like that she has the same reaction to the more gruesome parts of his work that many of us would naturally have. Little moments like that gave us a glimpse, brief though it was, at their shared sense of humor as well. As noted, this episode was quite reminiscent of “Sick Day”, both in terms of the flashback narrative and the concept of a team member opening up to their significant other (in “Sick Day”, it was JJ confiding in Will). But thankfully, there were still enough obvious differences between the two episodes. With Will and JJ, that was a conversation between a couple who’d been together for years. We got to see Will’s familiarity with JJ’s work on display in that episode, his ability to navigate her shifts in mood and reactions to all she went through, and that discussion highlighted a lot of what JJ, as well as her relationship with Will, have overcome and been through over the years. Rossi and Krystall’s conversation, on the other hand, was a chance to see somebody adjusting to this life, and learning how to be there for their loved one as they struggle with these issues. Most of the relationships we’ve seen on this show were already established (Hotch and Haley, Blake and her husband, Tara and her fiance). We only usually saw the stress this job had put on these marriages and engagements after some time. Either that, or some of the team members’ significant others did similar kinds of work (Will, Kevin, Mendoza), so they already “got” what their loved ones dealt with on some level. This episode gave us an example of what it’s like for somebody who has to adjust to living in this world, and how they react to it all. And yet, at the end of the day, both episodes were touching reminders of the kind of support JJ, and now Rossi, have in their lives. We’ve seen so many relationships fall apart or meet tragic ends on this show over the years, so I’ve really appreciated the show’s decision to feature happier relationships in recent years. These people already deal with enough stress on the job as it is, they deserve to have some peace in their personal lives. It’s easy to be nervous about how Rossi and Krystall’s upcoming wedding will fare, given it’ll be happening in the season finale and we know how this show is with their finales. But I’m hopeful that all will go well – these two are cute together, and they deserve to have a happy celebration. What did you think of this episode? Did you see the twist with Grace coming? Are you enjoying Rossi and Krystall’s relationship? What did you think of AJ Cook’s directing? What do you think will happen next in regards to this case and its effect on the team? Do you think Rossi will ever actually retire? Share your thoughts in the comments!